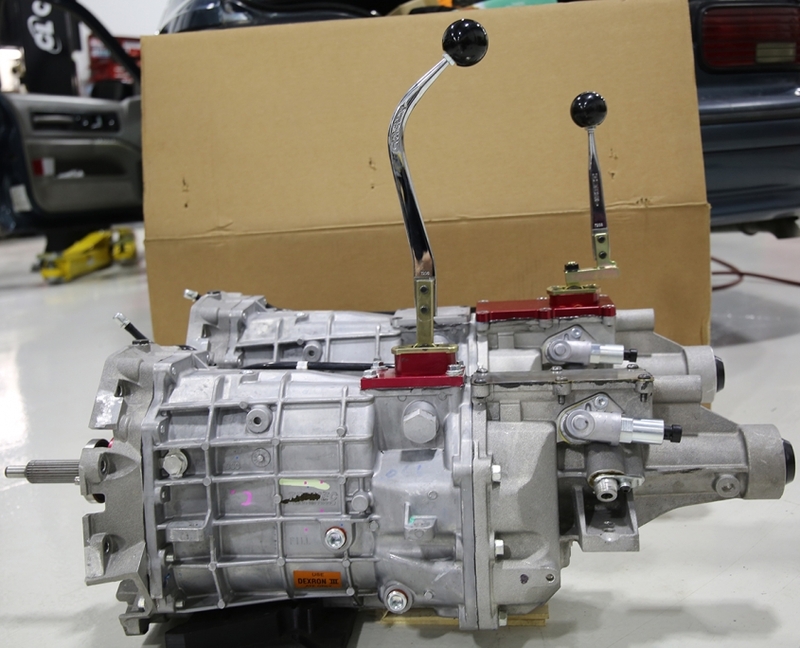 This FAQ is specifically about our 1991 – 1996 GM B-Body manual conversion kits. The questions we get most often are listed and answered below. If you have additional questions please don’t hesitate to contact us. Why convert to a six speed manual transmission? The main reason, of course, is because it’s just so much more fun to drive!! Beyond that, the other benefits of swapping to a six speed include the improved torque-handling capacity of the T56 over the 4L60E, and the lower parasitic power loss of a manual transmission versus an automatic which means you put more of your engine’s power down to the ground. What tools are required to install the kit? Our kit is designed to be easily bolted in without the use of any special tools. You’ll need a basic set of mechanic’s tools, including sockets, ratchets and torque wrenches. You’ll also need a drill and bits and a saw to cut the floorboard with, and you’ll need a jack and jack stands (or a lift, of course) so you can access the underside of the car. A friend to help lift the transmission into place, or a transmission jack, would also be helpful. Besides the kit, what is needed for the swap? We designed our kit to include nearly everything you’ll need for the swap. 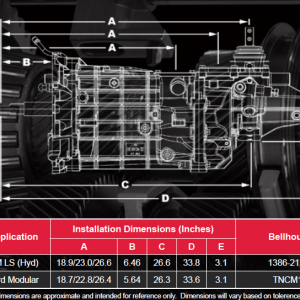 Not included with the basic kit are the flywheel, clutch and transmission, as well as rear gears and a new driveshaft. We offer package deals customized to your needs, so you’ll have everything you need, down to the last bolt. We are also happy to provide suggestions on parts should you choose to purchase them used. How difficult is the kit to install? Our kit is designed to be installed using only basic mechanic’s tools by someone with average wrenching skills. Complete instructions, with detailed photos, are included to guide you every step of the way and to ensure that no detail is overlooked and we will soon be adding videos. If you can perform a basic brake job, you should be able to complete this swap. We also offer support by phone, online chat, and email. We’re not sure why you’d ever want to, but you could swap back to an automatic. The most involved part would be covering the holes you’d made for the clutch pedal bracket and the shifter. What about reprogramming my car’s computer? Is it necessary? We recommend that you have your car’s computer reprogrammed to eliminate the possibility of the check-engine light coming on because the computer doesn’t see the automatic and so that your speedometer will read properly with the signal from the new transmission. We offer basic reprogramming through PCM for Less to address these issues. Will this kit ruin my daily driver? Not at all! We have logged tens of thousands of miles on our personal cars utilizing them as daily drivers, and many of our customers have done the same. One has even logged more than 150,000 miles on one of our kits, with no issues! One could argue that the car is actually more reliable after the swap, as you won’t have to worry about your automatic transmission failing. One of the great things about the T56 is the availability of a very tall overdrive (0.5 6th gear is available). With this and 4.10 rear gears, one of our first builds achieved 26 miles per gallon on a highway trip in a fully-equipped Caprice. However, we have trouble driving gently with the manual transmission – it’s just too much fun to wind through the gears! No, in fact we never do. CAGS was created to help factory cars meet certain fuel efficiency targets, by forcing drivers to shift from 1st gear directly to 4th gear under certain driving conditions. If you’ve read this far, then we don’t think you’ll ever find a use for CAGS! CAGS is avoided by simply leaving off the solenoid that controls it. Included with our kit is a metal block off plate to cover the opening in the transmission for the solenoid. Our computer reprogramming also ensures that the computer will not be looking for CAGS, and therefore you will not get a check engine light. What transmission can I use? Our pedal assemblies are designed to work with all hydraulic clutch systems, including the Tremec T56, T56 Magnum, TR6060, TKO500, TKo600, T5, McLeod Muscle Car 5, Richmond transmissions, etc. Is this compatible with LS or LT engines? Absolutely! 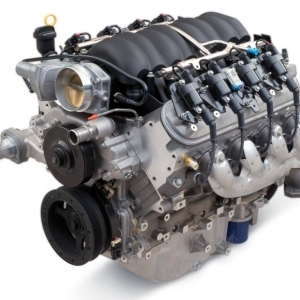 We can help you with the appropriate parts selections to work with any LS or LT-based engine. Is this compatible with a big block engine? Yes, we can help you with the appropriate parts selections to work with a big block.